Many children go through stages that seem to leave them out of sorts and extremely sensitive to touch, especially with new clothes or fabrics that have textures they find unpleasant. While most babies and young children seem to have trouble adjusting their responses during growth spurts or illness, some are not able to tolerate contact with certain fabrics or being held in a certain way from their earliest months. If your child was a more fussy baby until you discovered he or she preferred to be wrapped tightly in a blanket, rocked in a swing, and sleeping on a firm surface covered tightly by soft fabrics, you may already have discovered that the cause of most of his or her discomfort was due to an increased sensitivity to surroundings and a need to be held a certain way to be comforted. Adults with autism have reported that they experienced Applied Behavioral Analysis (ABA) during childhood and teen years as abuse. Both parents and teacher may lack the perspective to rescue a student who has been subjected to results-oriented behavior modification that benefits only adults in charge. Some sensitive babies and children are diagnosed with sensory integration or sensory processing challenges. Just as all mothers of relatively fussy babies sometimes worry that something they did or did not do has caused a child to be higher maintenance than other people's kids, mothers of children with sensory integration delays or sensory processing disorders often feel that their child's challenge was caused by something lacking in their parenting skills, carelessness in pregnancy or a difficult childbirth. My favorite parenting expert was diligent in telling mothers that their babies were not 'out to get' them. Although this assurance might seem laughable to those who have not enjoyed the first months with a newborn or the first year with a sensitive baby, it should be given out as a bookmark to every set of new parents. Every child is unique. It is natural to judge our own in comparison with the quietest and/or 'easiest' baby in the neighborhood, and to believe that other mothers have a simple and rewarding homelife with calm babies and low maintenance toddlers. However, if we do share stories of our most humbling or exhausting episodes, other mothers may assure us that they do struggle with similar issues. It is also possible that most other moms we meet have not experienced life with an uncomfortable, sensitive baby and are over their threshold of tolerance for the exhaustion and sleeplessness every 'typical' baby is capable of prolonging. They may be barely hanging on, but have no idea how much more difficult life can be. This is as common in support groups for children with special needs as in mainstream Mommy and Me classes. 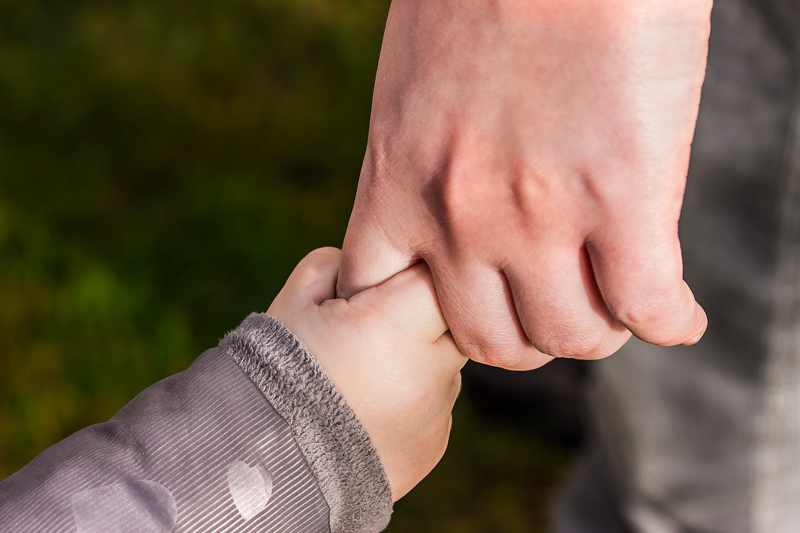 Some parents who have grown their families through adoption may not understand that their son or daughter has sensory issues or other special needs because the concerns they have are attributed to bonding issues or other transition challenges. There is as great diversity among babies and children with Down syndrome, autism, or other special needs as any other group. It is entirely possible that a baby with Down syndrome or a child with autism, cerebral palsy or spina bifida has sensory issues aside from the main diagnosis. Some parents do not discover their child has a sensory processing disorder or other sensory integration problems until they reach school age, or are referred to a specialist by their child's pediatrician. Others have found out when their son or daughter entered adolescence, or were diagnosed in college or as an adult seeking answers themselves. Other moms, and even close relatives and good friends, may be judgemental without understanding that some children are difficult to soothe because they are overwhelmed by discomfort due to their extreme sensitivity, neurological immaturity, or sensory dysfunction. Usually we are most critical with ourselves. It is important to understand that babies and young children cannot communicate their feelings, needs or wants except through their behavior. If your baby seems especially fussy, inconsolable, or uncomfortable, your pediatrician may be able to diagnose a childhood disability that will allow your child to benefit from appropriate accommodations, encouragement and support. Children with sensory integration problems or sensory processing challenges have the right to express their diversity and be given consideration for their sensitivities. Often, the same simple steps that are recommended for babies and children with sensory issues are also comforting and helpful for children who are experiencing temporary disorientation due to growth spurts or lapses in neurological maturity. Many famous and successful adults in the world have grown up with similar challenges and contributed positively to our culture and history.